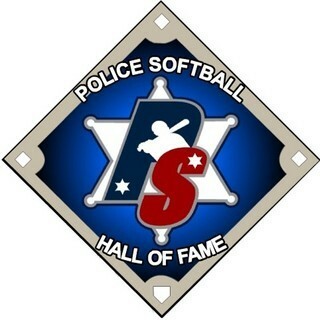 Police Softball.com is proud to announce that the 2018 Hall of Fame nomination period will begin June 1, 2018 and end July 12, 2018. These dates will offer the opportunity for each newly selected Hall of Fame member to be recognized at more tournaments by their peers and/or tournament directors throughout the year. As in every year all 2018 Hall of Fame members will be honored and officially inducted to the PS.COM Hall of Fame at the PS.COM World Series in Las Vegas October 12, 2018. The PS.COM Hall of Fame started in 2006 and has had the honor to induct over 140 Hall of Fame members. The first part of this process starts with the PS.COM members who have the opportunity to nominate those who you believe have earned the opportunity to become a Hall of Fame member. The established criteria is that they must be or have been a sworn law enforcement officer or currently a retired sworn law enforcement officer and they must be 45 years of age within the calendar year of 2018. The Hall of Fame is designed to recognize those who have excelled at a very high level as a player, coach, tournament director and/or a combination of each for an extended amount of years. When the nomination period begins please go to the Hall of Fame nomination thread under the message board and post their name, indicate if they are over 45, team affiliation and a very detailed account of why they should be selected to this Hall of Fame class. The Hall of Fame committee has an established voting process and they will carefully read all nominations and ultimately select those 2018 Hall of Fame members. Each person nominated will have their own area so other members can add comments in support of the nominees. Please do not procrastinate in this process because the closing date is a definitive closing date. Good luck to all nominees. As always, the East Coast HOF Committee is led by Dennis Leonard and the West Coast HOF Committee is led by Anthony “Big Tone” Costanzo.